(AP Photo/Paul Sakluma, File)Travis Kalanick arriving at the Allen & Company Sun Valley Conference in Sun Valley, Idaho. The startup plans on buying distressed real estate and refurbishing those sites for digital businesses. It’s small, with only 15 employees. On Tuesday he announced on Twitter that his investment fund 10100 (pronounced Ten One Hundred) was buying controlling interest in a real-estate startup, City Storage Systems, for $US150 million. And that’s not all: Kalanick is joining the company as CEO. Kalanick recently cashed out a portion of his Uber stake in a sale to the Japanese company SoftBank- enough to put $US1.4 billion cash into his pocket. He wasted no time in setting up 10100 to oversee both his for-profit investments and his charitable philanthropic gifts. CSS is 10100’s first big investment, Kalanick said in a tweet. CSS is a real-estate company looking to buy “distressed real estate particularly in the areas of parking, retail and industrial,” as Kalanick describes it. He says $US10 trillion worth of this kind of real estate is available and ripe for redevelopment. CSS plans to “repurpose” such sites “for the digital era,” he wrote. Kalanick offers the example of two CSS services to explain what he means: CloudKitchens, which provides services, including kitchens, for food-delivery startups; and CloudRetail, which is apparently doing similar things to support online retailers. By the way, though 10100 sounds like some kind of an insider coding joke – Kalanick is a software engineer – it isn’t. The name is a reference to the street address of his childhood home, according to someone familiar with the matter. It serves as a subtle homage to his mother, who was killed in a boating accident in June amid Kalanick’s struggles at Uber. The name is supposed to represent getting back to his roots as an early-stage startup guy. CSS is Kalanick’s fourth startup. Besides Uber, the others all had at most a few dozen employees. The first one was Scour, a file-sharing company, similar to Napster, that was sued out of business. The second one was Red Swoosh, which sold to Akamai for $US19 million. 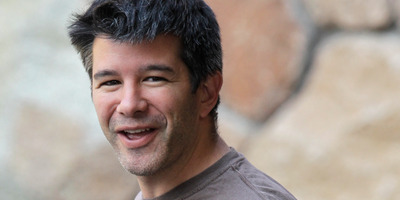 CSS employs 15 people, and Kalanick says in his tweet that he’s hiring.